What vaccine policy does the AAHA recommend? Are schools of veterinary medicine in the U.S. still currently teaching annual vaccines? What do specialists in the field of veterinary immunology advocate? The answer to all of these questions is NOT annual vacations. This article discusses what the experts are recommending and why we at Summer Brook recommend a minimal vaccine policy. American Animal Hospital Association’s (AAHA) Vaccine Protocol recommends core vaccines every three years or titers. All vet schools are also currently teaching fewer vaccines. Whether it be out of ignorance or for financial gate, many vets (especially in the south) are still recommending annual vaccines. Annual vaccines bring in a large percentage of pets who otherwise would not have annual check-ups. Are some veterinarians more interested in keeping this business than in the health of the pets? Maybe some veterinarians simply don’t keep up with changes in recommendations and protocols from those who know best. A veterinarian’s vaccine recommendation would be an important consideration to me in choosing a vet. I wouldn’t want a vet who cared more about money than my pet. Neither would I want one who is not knowledgable on the latest research and recommendations. Dr. Jean Dodds, a nationally known research veterinarian in the fields of immunology and vaccination, and Dr. Ronald Schultze, a research veterinarian at the University of Wisconsin, have been instrumental in changing canine vaccination protocol. We have seen changes across the country. However, it has been a slow process. We believe that the over-vaccination of America’s pets has been a large contributor to the high cancer rates and other diseases in the American pet population. Certain vaccines definitely contribute to auto-immune problems such as allergies. Dogs with worn out immune systems from too many vaccines are not as capable as dogs with strong immune systems in fighting disease. We have seen it time and time again where dogs who have been heavily vaccinated are sicker than those with only the bare minimum vaccines. Our vaccine recommendation involves no annual vaccines. Instead, we suggest one of two options. The first option is for families to do titers on their dog 3 years after giving a vaccine and annually after that. A second option is for families to give vaccines every 3 years after giving a one year vaccine. We have links at the bottom of this page with information to back up our reasons for these recommendations. We spell both options out in more detail on this page. 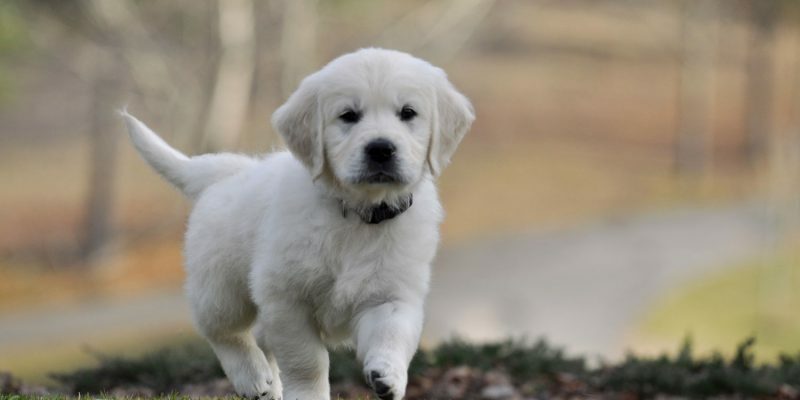 These recommendations come from the most respected immunologists in the U.S.
Below is the protocol that we recommend for those getting puppies from us. I heartily approve individual vaccines that most holist vets recommend, but since most families don’t have access to a good holist veterinarian, I’ve listed below a good simple alternative. Scroll below the protocol for a discussion of individual vaccines and why we do or do not recommend them. When puppies are 9 weeks of age, we recommend giving a Parvo, Distemper, and possibly an Adenovirus vaccine. We at Summer Brook do not give Adenovirus to our own puppies until 13 weeks. We recommend vaccines for Parvo, Distemper, and Adenovirus at 13 weeks. We recommend that families either use titers to determine when vaccines are actually needed or vaccinate every three years. Which should you use? Every 3 years is simpler. Titers are best. Either will protect your dog and both are much better than annual vaccines. Our simplest option for adult dogs is to give Parvo, Distemper, and an Adenovirus-2 vaccines at 1 year of age, 4 years of age, 7 years of age, and 10 years of age. The best option is a little more complicated. This option utilizes titer testing to determine when a dog actually needs vaccinating. Studies have shown that Parvo and Distemper vaccines give protection for a minimum of 5 years. An Adenovirus-2 vaccine will give protection for a minimum of 7 years. All of these vaccines will many times protect for the life of the dog. This does not include puppy vaccines. For dogs to build up this kind of immunity, they must be at least a year old. Therefore, we recommend families give a vaccine a year after giving puppy vaccines. Then 3 years later ,annual titer testing should begin. We err on the side of caution when we recommend that titers be started 3 years after a vaccine has been given. However, a titer, does not hurt a dog other than the sting of having blood drawn. A titer gives you assurance that your dog is covered without having to risk an unnecessary vaccine. After your dog has had a titer test that shows that he is covered, you need to repeat it every year until he needs another vaccine. Once he’s been vaccinated again for a particular disease, he can forego titer testing for another 3 years before beginning annual titer testing again. With titer testing, each disease is tested individually. 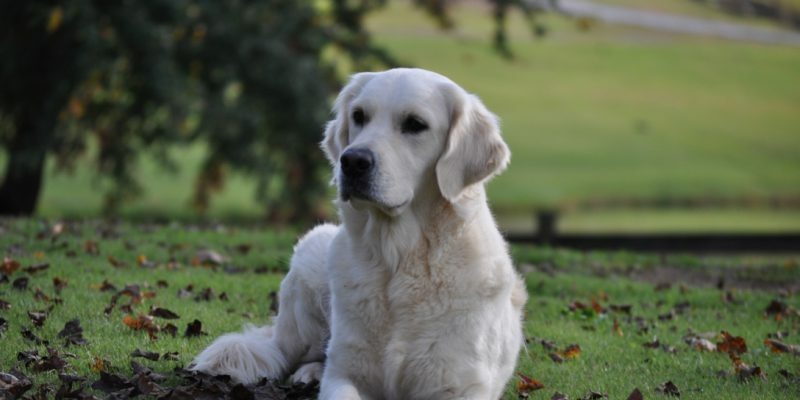 Once your dog begins having titers, he very well could need another vaccine for one disease while his antibodies are still sufficiently high to give protection for another year for another disease. The one year rabies vaccine should be given at least a week before or after other vaccines but preferably 3-4 weeks before or after other vaccines. In most states, rabies titers are unfortunately not an option so if the three-year rabies vaccine is available in your area then we recommend the three-year rabies vaccine every three years after the initial one-year vaccine. Some states require a yearly rabies vaccine. We don’t think that this is best for the dog and we hope that the law changes but until it does, we, of course, recommend that you comply with the laws of your state. I only recommend the vaccines that are referred to as “core vaccines” and rabies. The core vaccines are Parvovirus, Distemper,and Adenovirus-2. Parvovirus is often referred to simply as Parvo. It is a deadly and fairly common disease which is why I give it before sending puppies home. Parvo, as it is commonly called, causes severe bloody diarrhea and vomiting along with fever and often dehydration. It can cause damage to the muscles including permanent damage to the heart. The virus is extremely virulent and can live for many months in the environment. It often attacks puppies. Though I’ve never experienced a case of Parvo myself, I’ve heard of breeders loosing entire litters from it. Though not as common today as in past years nor as prevalent as Parvovirus, Canine Distemper is a dangerous disease. It affects a dog’s intestinal tract, respiratory system, and the conjunctival membranes of the eyes. It is often deadly. Though it can be a dangerous disease, Dr. Jean Dodds recommends that it is never given to a puppy under 8 weeks of age and also not when a puppy is under stress. There are greater side effects from the Distemper vaccine than from the Parvo vaccine. Therefore we at Summer Brook have decided to not give it to our puppies before they leave our home. Studies have also shown that it is in a dog’s best interest to have vaccines given separately. Because with decreasing age, there are increasing chances of a vaccine causing problems, we’ve decided to separate our puppyies first Parvo vaccines from their first Distemper vaccine. The third core vaccine is Adenovirus-2. I am on the fence with regard to the CAV-2 (Adenovirus-2) vaccine. Dr. Jean Dodds currently doesn’t recommend it. Dr. Ronald Schultz does. These are the two most prominent immunologists in the country and I respect them both. CAV-2 (Adenovirus-2) is considered a core vaccine by most schools of veterinary medicine. This vaccine protects against a form of kennel cough, but it also provides cross protection for a form of canine hepatitis. I would not recommend it if merely for the kennel cough protection and a few years ago, I wouldn’t have recommended it for hepatitis either. Until recently, there had not been a case in the U.S. in 12 years. However, with a few cases starting to creep in and the fact that Dr. Schultz is now recommending it, I wonder if it might be a good thing. At this point, we do not give it along with our puppies’ very first vaccine set but starting with the second set, we do. Leptospirosis is a disease contracted from contaminated water. Though it can be a serious disease, I do not recommend the Leptospirosis vaccine for several reasons. First of all, it is rare. Most states have no reported cases or only a handful per year. Second, it is a disease that is contracted through the urine of infected animals. Most American pets do not frequent environments with dirty water that might be contaminated with the Lepto virus even if they did live in an area of the country with a higher prevalence of Lepto. Thirdly, the Leptospirosis vaccine has the highest rate of side effects. Fourthly, the vaccine doesn’t immunize against all the different strains of the virus. There are about 200 different strains. The current vaccine only protects against the 4 most common strains. Fifthly, the vaccine doesn’t give protection that lasts for very long. Studies have shown that it does not give protection for even a full year. In my opinion, the risks far outweigh the benefits. I wouldn’t even consider this vaccine unless I lived in the area of the country with the highest incidence of the 4 strains of Leptospirosis that the vaccine covers and then only if my dog spent huge amount of time in water that could be contaminated. Even then, I’d tend to agree with those many vets who say that the benefits don’t outweigh the risks ever. If you do decide to give a Leptospirosis vaccine, we require waiting until your puppy is 12 weeks of age at the very minimum. All immunologists and the American Animal Hospital Association (AAHA) have this same age recommendation. Some vets are giving the Leptospirosis shot to young puppies. Please don’t allow your vet to do this to your puppy. Also, do not give this vaccine along with any other vaccine. Give it either 3 weeks (or more) before or after other vaccines. I also never recommend the Bordatella vaccine. Bordatella is nothing more than the canine equivalent of a cold and it is only one of many forms of what is commonly referred to as kennel cough. None of my dogs have ever had a Bordatella vaccine and none of them have ever had Bordatella or any other kind of kennel cough in spite of going frequently to dog shows, training facilities, and parks. I attribute the health of my dogs and their good immune systems partly to good genetics but mostly to the care I give them. Limited vaccines are part of that good care. The Bordatella vaccine is sometimes required by boarding and training facilities, but if you will ask them if you could sign a waiver saying that you will not hold them accountable should your dog get Bordatella, most will waive this requirement. The requirement is usually for their protection, not your dog’s. If you do get a Bordatella, get it on an “as needed” basis. A third vaccine that I never recommend is the Coronavirus vaccine which has been referred to by more than one immunology expert as the “vaccine looking for a virus”. The AAHA (American Animal Hospital Association) also says that they never recommend it (so why is it even manufactured?). A fourth vaccine that I recommend that dog lovers stay away from is the adenovirus type 1 vaccine (CAV-1). The CAV-2 vaccine cross protects for CAV-1 without as many side effects. The CAV-1 is another vaccine that the AAHA never recommends under any circumstance. If your vet doesn’t have the recommended vaccines in any other form besides a vaccine with 5 or more vaccines in one, you can order them yourself or ask your vet to order. Neopar (Parvo) vaccine and either a Neovac D (Distemper) or a Neovac DA2 (Distemper/Adenovirus-2 combination) can be ordered in single dose quantities. There is also a Parvo/Distemper combination vaccine called a Nobivac Puppy DPV if your vet was interested in ordering for several customers, but to my knowledge, you can only buy it in packages with 25 vaccines in it. Dr. Jean Dodds at Hemopet in California and Dr. Ronald Schultze at the University of Wisconsin School of Veterinary Medicine are both research veterinarians who have done much research in the field of animal vaccinations. See the American Animal Hospital Association’s (AAHA) Vaccine Protocol which I highly recommend showing to your vet and Dr. Dodds’ Vaccine Protocol. You might want to print off some of this information to take to your veterinarian. Many, if not most, vets are either unaware of the changes or are unwilling to make the change because of fear of the financial implications that might go along with fewer vaccines. We believe that the over-vaccination of pets is a big contributor to the high cancer rates. 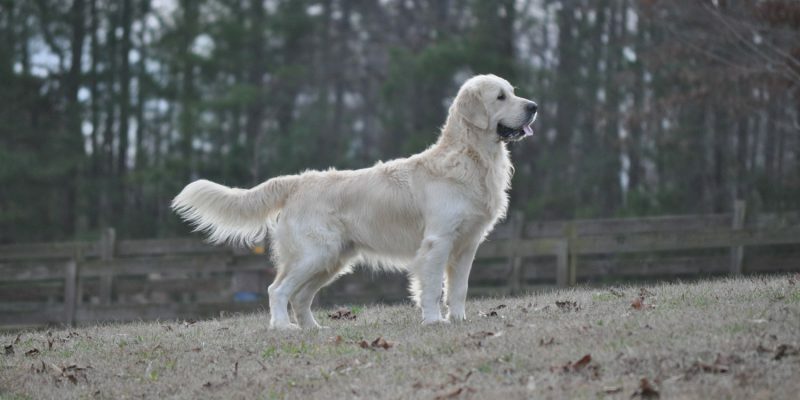 With the cancer rate of Golden Retrievers in the United States at 60%, we are sure that by changing vaccine protocols, we are making a big step toward giving our dogs longer, healthier lives. Many veterinarians are not following the same recommendations being taught in vet school and advocated by the AAHA. Make sure your vet is following the correct vaccine recommendations.